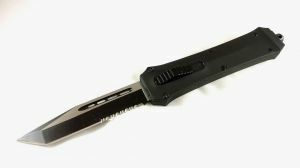 Delta Force out-the-front knife series is compact, functional, affordable and makes a great all around user or collectible. 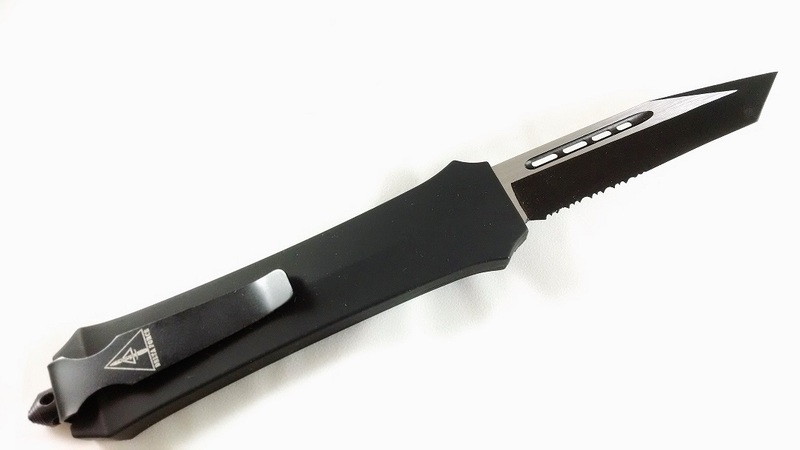 This blade has a black titanium coating finish and is made from 440C stainless steel with a partially serrated tanto edge. 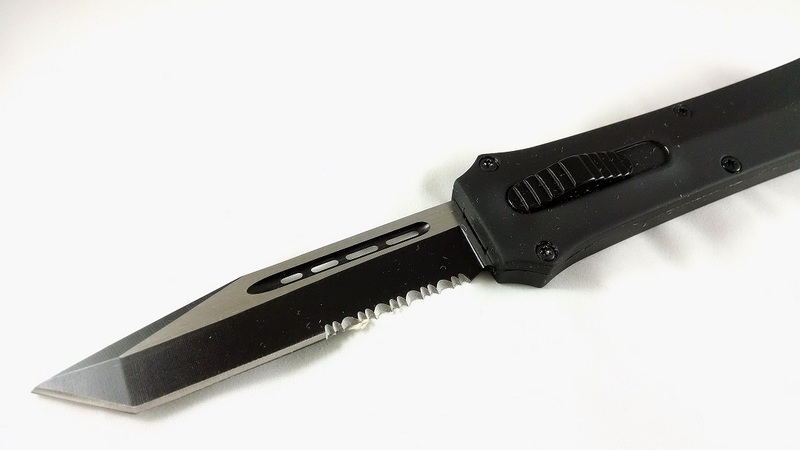 This model features a black anodized aluminum alloy handle. 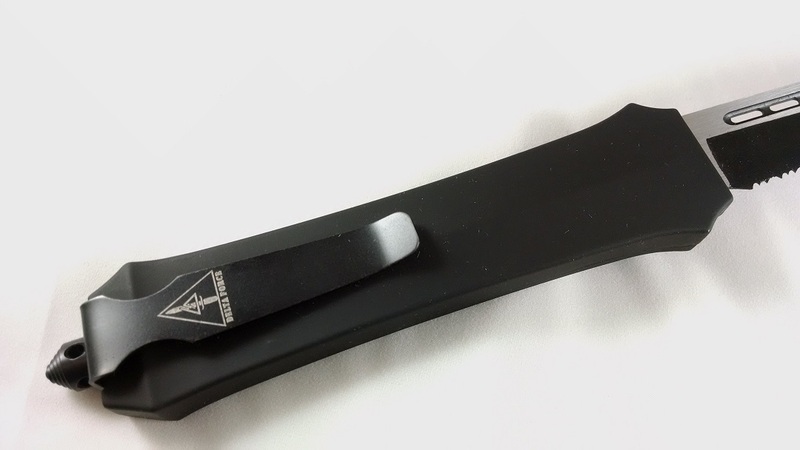 With pocket clip and glass breaker. 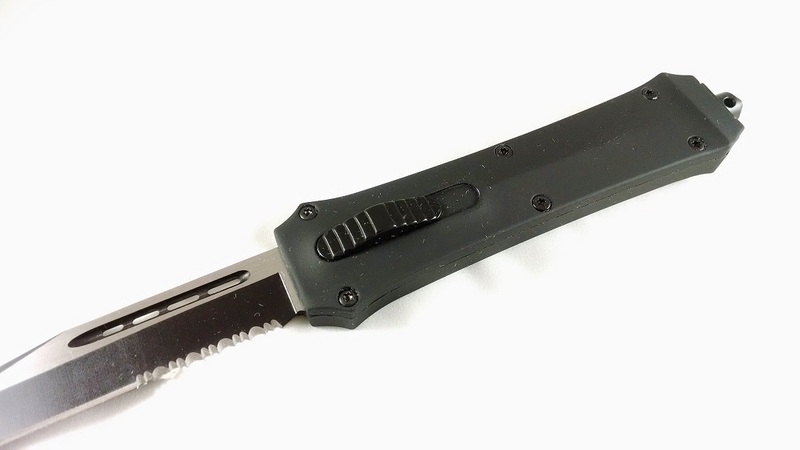 Black Nylon sheath included. Full Length: 9.25" Blade Length: 3.75" Blade Thickness: 3 MM Hardness: 58 HRC Weight: 8 oz Blade Material: 440C Handle Material: Aluminum Alloy ***DELTA FORCE LOGO ON POCKET CLIP!